the hair does indeed look nice. if you don't like how the face is turning out, do you have an idea of how you want it to turn out? like do you have a style you want to draw like? having a crisp image of what you are aiming at will help in improving your art to the next level. hopefully you dont mind but I felt like doing a redline to show how I would have drawn the face myself. Obviously it's my own style but it might give you a point in the right direction. 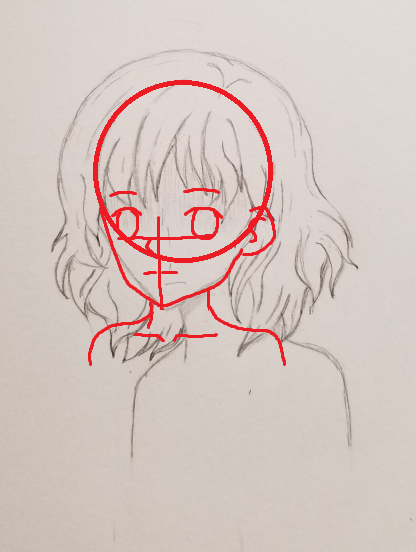 I sometimes try and trace other artists drawings/faces, but instead of just tracing, I try and draw guidelines first, as if I am drawing the face myself. It helps to break down what proportions/guidelines they used and then I can try them out on my own drawing.